I have deleted several transactions by mistake. Is there any way I can restore them? Posted byJeffrey R.	 September 19, 2018 September 19, 2018 1 Comment on I have deleted several transactions by mistake. Is there any way I can restore them? 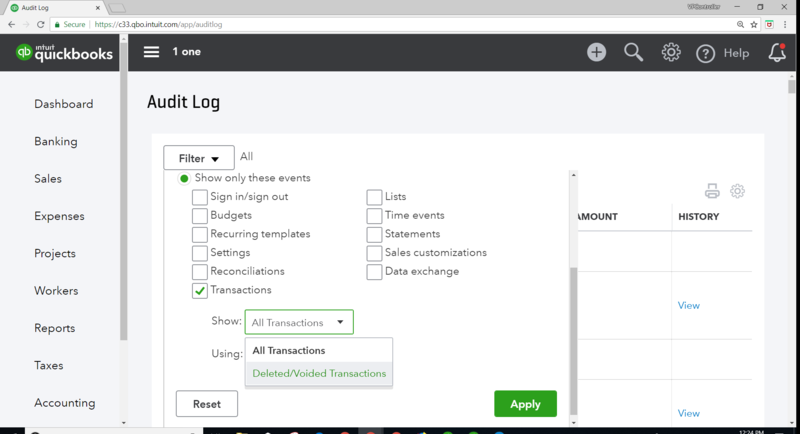 QuickBooks Help Questions › I have deleted several transactions by mistake. Is there any way I can restore them? Once you’ve deleted transactions, there is no Undo after that. You can view the history from the Audit Log. Select Transactions and Show “Deleted/Voided Transactions”. Locate deleted purchase order and click “View” under History. That will show Audit History.